The Nissan 370 'z' has been a dominant force in the sports coupe industry for more than four decades. The latest model has roots dating back to the 240z, with that model taking the world by storm with the amazingly fast and furious powerful sports performance. Jump into 2018 and you will see that the latest model of 370z has all the same formulas of previous editions, maintaining that heritage, but with the added benefit of a unbelievable 3.7L V6 engine and a vast array of technological changes. Generation 6(2012 - Present): We're now on the 6th generation of the 370z, which succeeded the previous 350z model. From 2012 - present, the Nissan 370z has seen many feature changes to the car, enhancing the vehicle in more than one way. 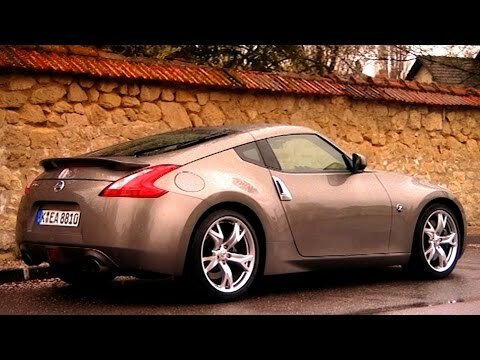 Feature updates include new 18" alloy wheels, two new body colours, vertical LED daytime running lights (except NISMO 370z), auto-dimming side mirrors and the fantastic option to have a BOSE Premium Audio Package installed in the vehicle to really give the 370z a new lease of life when it comes to audio! Colours include: Storm White, Vibrant Red, Ebisu Black, Daytona Blue, Magma Red, Universal Silver, Gun Metallic and Premium Yellow. If you already own an older vehicle and plan to upgrade to one of our newer cars, you can trade and use it toward the cost of your new car. How much is your car worth? We offer a free online Valuation Toolwhich allows you to get a rough estimate value your car might be worth. Colour reversing camera. Whenever you are engaging in those tight spots, the coloured reversing camera is your helping hand to help squeeze you into those tight spots and keep your car as safe as possible! Take whatever you want, wherever you want. There is plenty of space for the important things in life such as your golf clubs or your overnight bag for a quick getaway. With its open wide hatch for easy access & retractable cargo cover, your luggage will have breathing room & be out of sight. There is nothing wrong with being safety conscious, and the 370z comes packed with a range of high protection air bags, pre-tension seat belts to keep your restrained and active head restraints to helo reduce whiplash. With NissanConnect Premium you can create playlists from your own music collection without having to bring all your CD's onboard. The music box allows you to record your music and store it on the internal 9.3GB hard drive. Allowing you to apply the breaks faster than you thought possible, ABS allows you to have more control over the vehicle when breaking from high speeds. And if over/under steer is detected, Vehicle Dynamic Control will reduce the power and apply pressure to the break that is required to keep the car in line.